I have been a detail oriented title closer/settlement agent for over 30 years and have closed over 10,000 loans. I have closed directly for Stewart Title, Old Republic Title, First American Title, Commonwealth Land Title, and many others. I have trained other title closers at the request of title companies. I have since moved to Florida, and become NNA certified. I understand that I represent your company and will do so with professionalism and efficiency. I do have references available. I am also a licensed Realtor with Coldwell Banker Residential Real Estate. Since the late 1980's I have been a title closer/settlement agent as stated above. I did title closings by request for senators, mayor's, village justices, and attorney's and have never felt that I worked a day in my life. I truly enjoyed my job. I was a subcontractor for direct title companies as well as abstract companies as New York was an attorney driven state. I also trained new title closers and did property inspections as well as bringing in business to my title companies. I have two boys, both in real estate, and am married. I have been a member of Longboat Key Rotary and was a Peer Advisor for the Women's Resource Center in Sarasota. 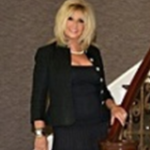 I am currently the Recording Secretary on the board in the University Park Women's Club and also a licensed Realtor with Coldwell Banker in Longboat Key. Possible additional charge for travel out of the area.